Adding Google Analytics to your your email campaigns is easy. First, make sure you have a Google Analytics account that's set up to track data from your website. If not, go do that first. Go to the Account section in WordFly to activate Google Analytics link tracking under Account Options. 3. Tick the box next to Google Analytics. Checking this box enables Google Analytics tracking tags for all the links in your email. You'll be able to decide when you create your campaigns if you want to use it on each campaign. When you create your email Campaign, you can decide whether to activate Google Analytics link tracking or not. You can do this in a new Campaign or an In Progress Campaign. Just enable the option on the Campaign Settings tab. 2. 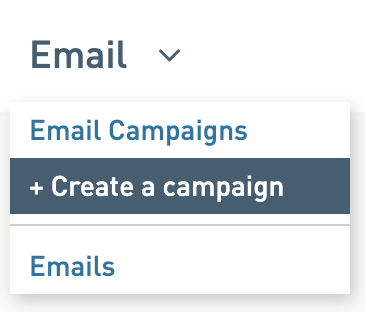 On the Settings tab, select a type and give your campaign a name. 3. Check the box for Google Analytics. This will be automatically checked if you have enabled Google Analytics in your Account section. You can uncheck the box here to disable GA tracking on any Campaign.